This feature is available from Mighty and above plans. For example, let us say you are running an eCommerce website. A registered user is visiting your website or initiating a chat. 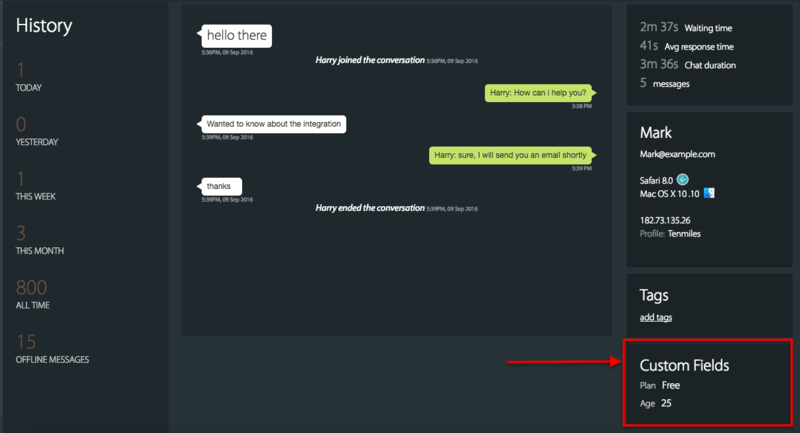 If you want to pass the subscription plan details of the user or number of orders placed previously, to HappyFox Chat, custom field enables that for you. 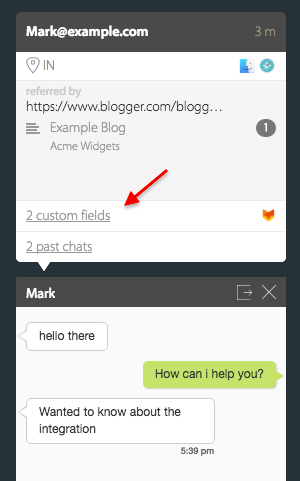 Custom fields can be created in "Custom Fields" section under "Manage" tab of your HappyFox Chat Account. Click on "Add" button. Enter name of the custom field. 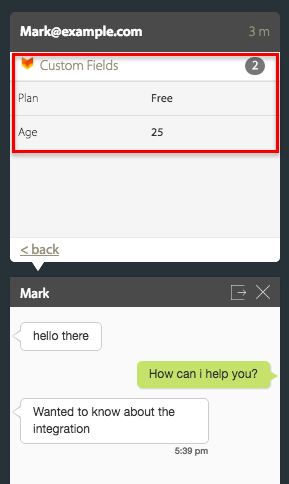 Note: Text and Number are the two types of custom fields available. Choose any of the values and click on "Save" button. How to pass values to custom fields? <customFieldObject> is a mandatory argument. JSON object with the custom fields created in step 1. <callback> is an optional argument. How to filter visitors using custom field? 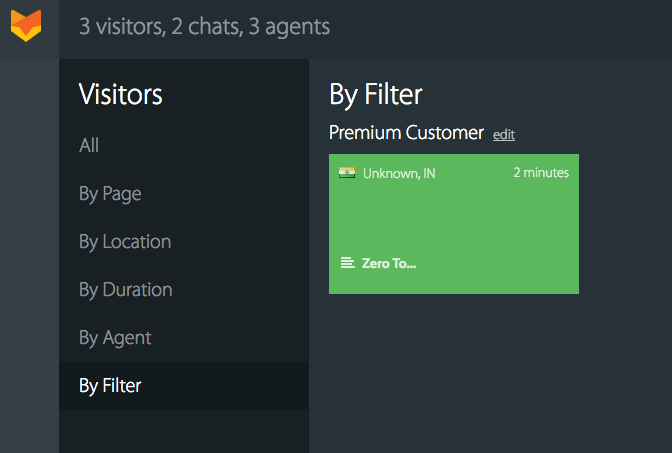 In "Visitors" tab, click on "By Filter" section. Select "Add filter" option from the drop down list. 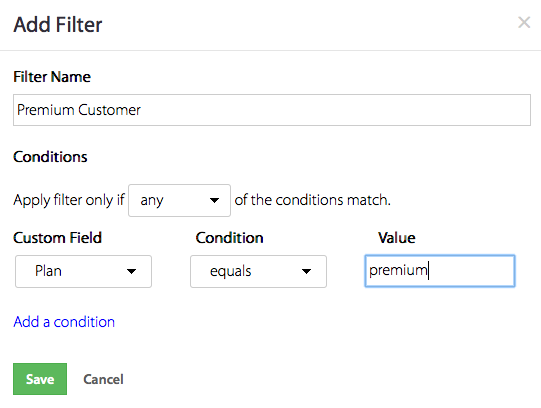 After setting filter name, set the necessary condition using the custom field. Visitors matching the conditions in the filter will be displayed. 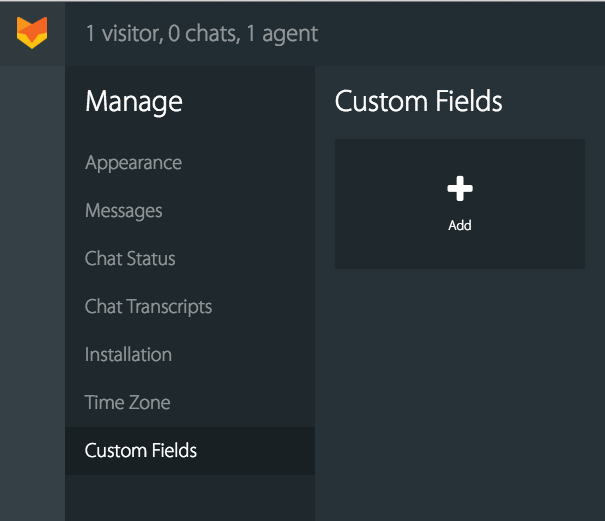 Where will the Custom fields be displayed?